\ \ What is the best word that your customers will ever hear? Is the word ‘fast’? Is the word ‘free’? What is it? It’s obviously none of the aforementioned words. To quote Harry Beckwith: “The word rings like music to your customers’ ears.” Do you know what the word is yet? It’s their name. In fact, this pretty much applies to anyone and not just your customers. People love to hear their name. That’s why you may catch salesmen use your name repeatedly. It’s suppose to warm you, he/she is trying to build rapport with you.\ \ After I heard Harry talk (I have the Audiobook of “What Clients Love ”) about customers and using their names, I thought about my own experiences. Then I quickly felt turned off. You see, I go by either “JP” or “Jon Paul”… but my first name is “Jon.” When my insurance agent calls me, she asks: “hi Jon, how are you today?” When I receive an email from AT&T, it begins with “Dear Jon.” Damn, even the doctor who has seen everything and knows every little intimate detail about my health and my body calls me “Jon.” It feels impersonal.\ \ Most of you won’t care. 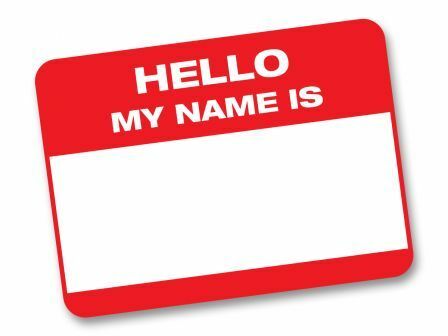 Since your are part of a group of people whose first name is what you are called. But you should care. I thought of an idea as I was listening to What Clients Love. At first I was a bit reluctant to share this idea. I wanted to be the first to person to do this, but then I read: Ideas Into Execution: Giving Away An Idea To Make It Happen. It is truly necessary to spread ideas, even trivial ones like the one I’m about to propose. Spreading ideas is what can help start a movement, make changes, and improve the world.\ \ Why don’t businesses and web application developers just add an additional field? You could label the field “nickname” or something along those lines. The field could even auto-populate with the customer’s first name for the 98% of those it won’t affect. But, consider this: if you add this additional nickname field (any programmer will tell you that adding and additional field to a form and then a database is not that much trouble) and it helps to make your customer feel better about your business then isn’t it worth it? Isn’t it worth that small amount of time investment to make sure that your customers know that you care? After all, isn’t business and selling all about relationships? \ \ Please share your thoughts. Do those of you with nicknames ever feel this way when interacting with businesses?